Batman games have always been unfairly looked upon as some of the worst licensed video games of all time. Sure, there are a few real stinkers like Batman: Dark Tomorrow. Batman: Dark Tomorrow is almost certainly one of the worst games I have ever played in my entire life. Batman Forever on Genesis and SNES was a terrible game as well and probably one of the only 16 bit games with loading screens. However, there have been quite a few awesome games (not including the two most recent spectacular games Arkham Asylum and Arkham City). Batman Vengeance was great at the time of release, though it hasn’t aged all that well. Rise of Sin Tzu is a solid arcade style beat em’ up. Batman on NES was a super fun game to play although it didn’t always feel like you were playing a Batman game. One of my all time favorite games is Batman Returns on the SNES, it is an arcade style beat em’ up in which you get to play as Batman. In other words, it is the reason a younger me purchased a SNES. 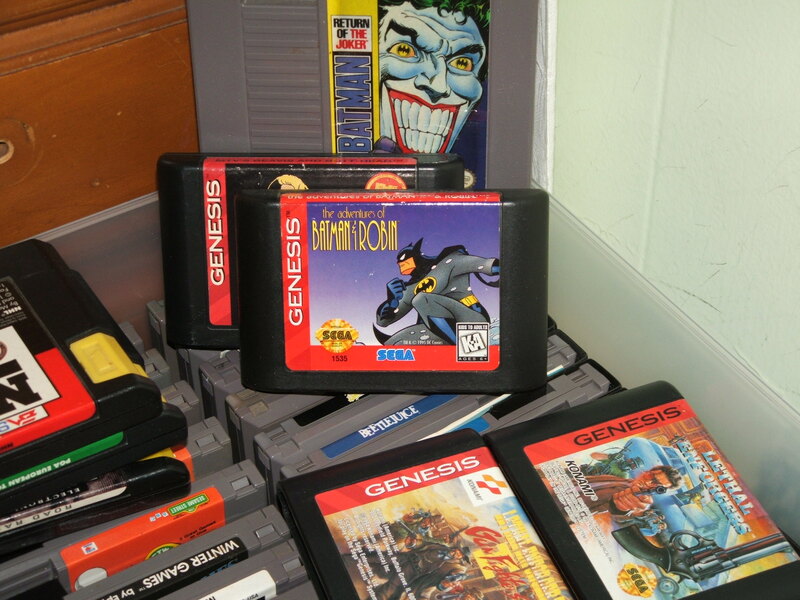 The Adventures of Batman and Robin for Genesis gets to be lumped in with the better Batman games. 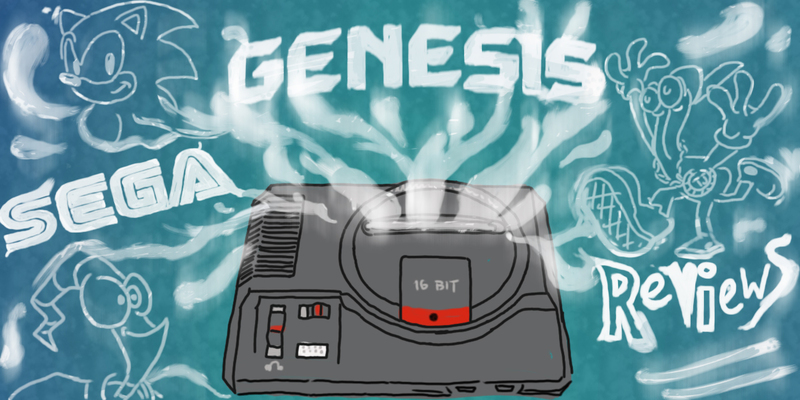 The SNES and Genesis games are actually completely different (sadly I have yet to play the SNES game). The SNES game plays as a slow side scrolling beat em’ up in which you only can play as Batman. The Genesis version of the game plays like a run and gun type game and it includes both Batman and Robin as playable characters. In a lot of ways the game reminds me of Gunstar Heroes (which just so happens to be one of my favorite Genesis games of all time). If you have never played Gunstar Heroes then you can think of this game as playing similar to Contra with a bit of beat ’em up thrown in. This game has some of the best graphics that I have seen in a Genesis game. At first you wouldn’t notice, because the first stage seems pretty bland… but it is all uphill from there with bright and colorful graphics (but only when they should be… Batman is still grey and dark and some of the backdrops are as well). The game is based on the animated series of the same name and it shows, the developers really did a fantastic job keeping the graphics similar to the TV show. The best thing about this game is the ability to play it with a friend. The game is extremely difficult, but if you are up to the challenge it is also extremely fun. After 6 days of playing the game I finally had to admit defeat and use a Game Genie in order to play through the full game. As I said earlier I have yet to play the SNES version of this game and a couple other Batman games. However, as of right now I would have to rank this game up at the top of the list under the Arkham series, Batman Returns on SNES and Batman Rise of Sin Tzu. One of the better games in the long list of Batman games is Adventures of Batman and Robin on Sega Genesis. Whether you are a fan of Batman or not this is a solid and fun Genesis game to add to your collection (especially if you enjoy multiplayer games).